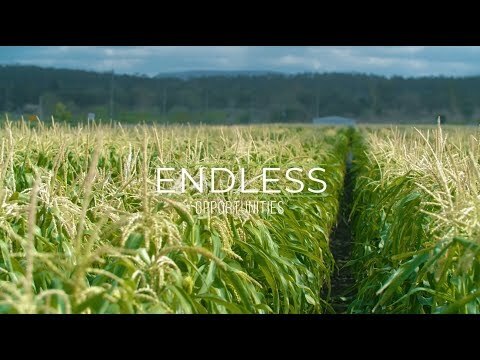 A new video developed for Queensland high school students is showcasing the many and varied career opportunities in Queensland agriculture. Minister for Agricultural Industry Development and Fisheries Mark Furner said the ‘Your Future in Agriculture’ video highlighted some of the current, emerging and ever-evolving roles that support agriculture. “The ‘Your Future in Agriculture’ video will help students, their parents and their teachers, to better understand the opportunities that agriculture and agribusiness offer,” Mr Furner said. Mr Furner said the video was developed in partnership with industry, through the Rural Jobs and Skills Alliance. “The Rural Jobs and Skills Alliance (RJSA) led by the Queensland Farmers’ Federation (QFF) has worked closely with the diverse agricultural industries we have here in Queensland to produce this informative video,” Mr Furner said. “The video is a great example of the collaboration between government and industry in promoting careers in agriculture and I have asked RJSA to develop a proposal for future industry engagement with schools. QFF President Stuart Armitage said the ‘Your Future in Agriculture’ video was a positive step in attracting and engaging the next generation of agricultural workers for the future of the sector. “The video highlights to school students the importance of food, fibre, foliage and renewable fuel production and the endless opportunities and diverse career pathways available in agriculture,” Mr Armitage said. Mr Furner said the video’s content aligned with the evolving school curriculum’s increased focus on science, technology, engineering and mathematics (STEM). “STEM subjects are of great importance to agriculture as all of those disciplines are relevant to modern food and fibre production,” Mr Furner said.